Air Force Technical Sergeant John Chapman, was attached to SEAL Team 6 during Operation Anaconda, during the Afghanistan War. 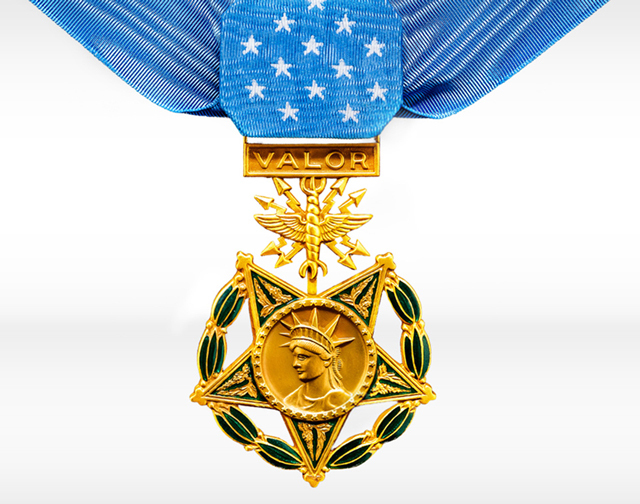 Chapman received the Medal of Honor for his actions at the Battle of Takur Ghar. 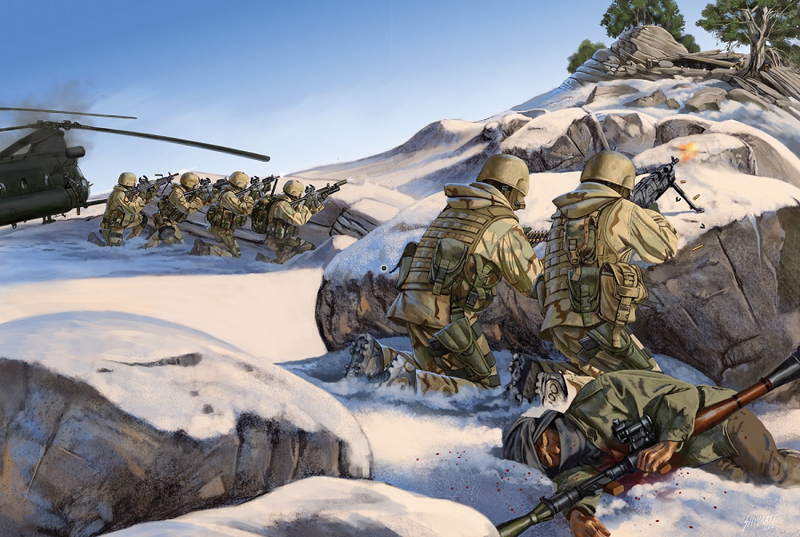 The Battle of Takur Ghar was part of Operation Anaconda, a joint operation combining conventional forces and special operators that was one of the first major engagements of the Afghanistan War. Chapman’s team, Mako 30, was one of several ordered to set up reconnaissance positions on mountaintops so as to provide overwatch and close-air support to conventional forces below. The team of SEALs helicoptered toward a mountaintop they thought was unoccupied, but it turned out to be “a hornet’s nest of enemy activity” and “basically their headquarters, or their strong point,” the special tactics officer said. The al Qaida fighters unleashed a barrage of fire on their Chinook, code-named Razor 03, which was struck by multiple RPGs. 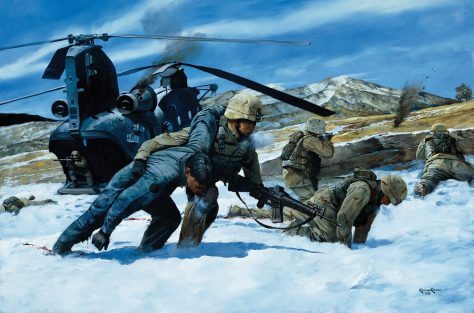 One of the SEALs on his team, Petty Officer 1st Class Neil Roberts, was thrown from the back into the snow below before the helicopter crash-landed about five miles away. The team — headed by Master Chief Special Warfare Operator Britt Slabinsky, the retired Navy SEAL who himself received the Medal of Honor for this battle — quickly decided that Roberts’ only chance of survival would be if they got another helicopter and returned to rescue him. “They knew it had a significant chance to be a one-way mission, but they felt like that was the only chance Roberts would have to survive,” the special tactics officer said. Unfortunately and unbeknownst to them, Roberts had already been killed about an hour before they returned. Chapman led the charge without hesitation. “He runs essentially straight up a steep mountain into the direction of enemy fire,” the special tactics officer said. […]Chapman burst into the first bunker, killed the two enemies there in close-quarters combat and seized it. He could have stayed safe within its hardened walls, which provided plenty of cover. But instead he emerged to assault the machine gun nest in the second nearby bunker, suppressing its fire and allowing his SEAL teammates to move forward. That’s when Chapman was first wounded. The SEALs later described seeing him go down and the laser sight from his rifle, which was laying across his prone body, moving up and down with his labored breathing. Before long, they saw the laser stop moving and believed he had died. Under heavy fire, the SEALs moved back to a ridgeline and continued firing until they were pushed down the mountaintop, the special tactics officer said. Chapman was left all alone. But a third Chinook helicopter was already on the way in with reinforcements. The RPG launchers were present and capable of shooting the third Chinook down. Chapman was not dead, but instead unconscious and temporarily incapacitated. He awoke after a few minutes, and continued fighting the enemy in the second bunker about 10 meters away for the next hour, the special tactics officer said. There was also another group of al Qaida on top of a ridge, heavily armed with RPGs. A third Chinook, Razor 01, carrying a quick reaction force of Rangers and special tactics airmen approached shortly after 5:40 a.m. The al Qaida fighters on the ridge start to take aim with their RPGs at Razor 01. The sun had risen. It’s impossible to know what was going through Chapman’s head at that point, but the special tactics officer believes he realized the Rangers would have a better chance of survival if he could suppress that RPG fire. Chapman once again ran out from the safety of his bunker, into broad daylight. He placed himself in-between the bunker — with his back to the machine gun within — and the fighters on the ridge, and began firing. “When he stood up and got out of the bunker, I don’t think he imagined he was going to survive,” the special tactics officer said. Razor 01 got hit by an RPG when it was about 50 feet off the ground, the special tactics officer said, but was still able to control its landing. But it could have been much worse for Razor 1. The special tactics officer said that when Chapman opened fire on the al Qaida fighters on the ridge, he forced them to put their heads down and suppressed their RPG fire as the Chinook approached. “It’s easy to imagine that it would be a high potential for there to be a catastrophic loss of the helicopter had he not been engaging the enemy as the helicopter was on its approach,” the special tactics officer said. It’s hard to tell exactly what happened to Chapman at that point, the special tactics officer said, but the large-caliber machine gun bullets — probably from a PKM — that ultimately killed him were likely fired shortly thereafter. The Rangers poured out of Razor 01 — two were killed as soon as they emerged — and then fought for seven more hours to get to where Chapman fell. The entire battle took 17 hours from the moment when Roberts was thrown from Razor 03. Chapman was shot 9 times, including 7 times before being killed. When his body was recovered, he had emptied 6 30-round magazines. Due to his heroic actions, the lives of several of his allies on Razor-01 were saved. It was a disastrous situation, but instead of giving up, Chapman did everything he could to fix it. Eventually, enough American forces were able to land to defeat the 400 enemy fighters. 200 enemy fighters were killed. The Americans lost 7 killed, 12 wounded. The full Medal of Honor citation for Chapman is here. 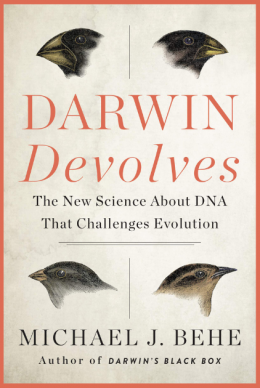 Previous PostChristian feminist says that husbands who provide don’t deserve respectNext PostStephen C. Meyer: does the Big Bang cosmology disprove the existence of God?